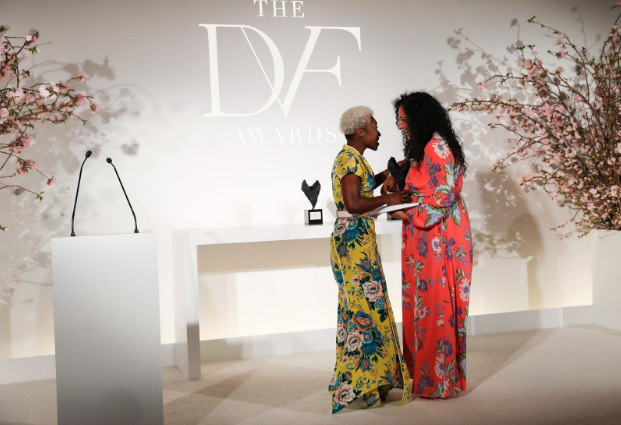 Diane von Furstenberg hosted the 8thannual DVF Awards at the UN where she recognized five extraordinary women who are making a difference in their communities and around the world. 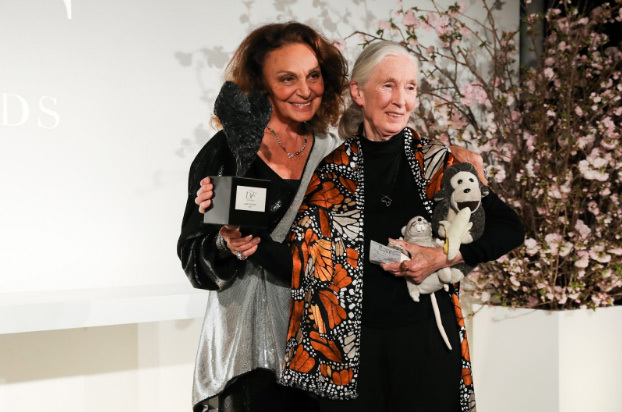 Honorees included: Dr. Jane Goodall, Karlie Kloss, Louise Dubé, Baljeet Sandhu andYoani Sanchez. For the first time, the DVF Awards partnered with Crowdrise to further amplify the incredible work of these women (to learn more and donate, please visit DVFAwards.com/donate). 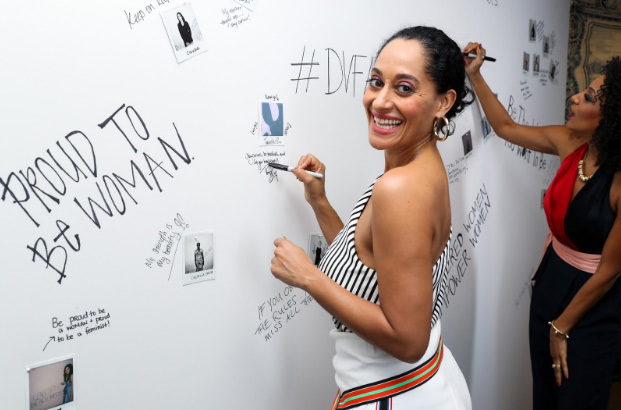 Presenters included: Tracee Ellis Ross, Kate Bosworth, Cynthia Erivo and Laura Brown. Andra Day performed, Angel + Dren DJed, Sarah Jonesemceed the event, and guests sipped Perrier-Jouet. Notable guests included: Allison Williams, Alexi Ashe, Anh Duong, Barry Diller, Dani Stahl, Huma Abedin, Jessica Jaffe, Joanna Hillman, Jonathan Saunders, Lindsay Ellingson, Seth Meyers, Stephanie LaCava, Steven Kolb, Tina Brown (co-host) and Wendi Deng Murdoch. Below please find additional information on the honorees and the DVF Awards. – Jane Goodall (Lifetime Leadership Award) – Recognized for revolutionizing the world in primatology and inspiring generations of scientists. – Karlie Kloss (Inspiration Award) – Recognized for providing women and girls with the opportunity to learn to code through Kode With Klossy, and her work with FEED and the CFDA through Klossies. – Louise Dubé (People’s Voice Award) – Selected by a popular vote, honred for her leadership of iCivics, a program founded by retired Justice Sandra Day O’Connor to restore civic education in US schools. – Baljeet Sandhu (International Award) – Recognized for her leadership of the Migrant & Refugee Children’s Legal Unit (MiCLU), a legal, policy and education hub. – Yoani Sanchez (International Award) – Recognized for her creation of project 14ymedio, the first and only independent digital news outlet in Cuba that offers a view through the eyes of its people. Some of the star-studded attendees wore none other than fashionable ensembles by Von Furstenberg to pay homage to the legendary designer.